An entire wall of pigment in big candy jars! 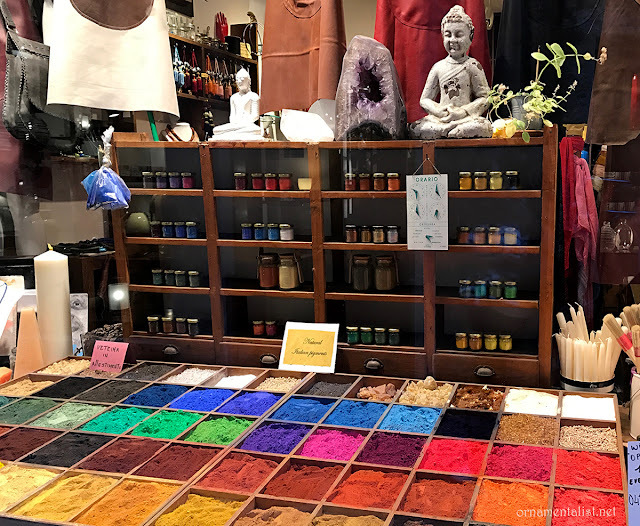 While looking for authentic artisan shops to visit in Venice, I heard about the pigment shop, Arcobaleno. 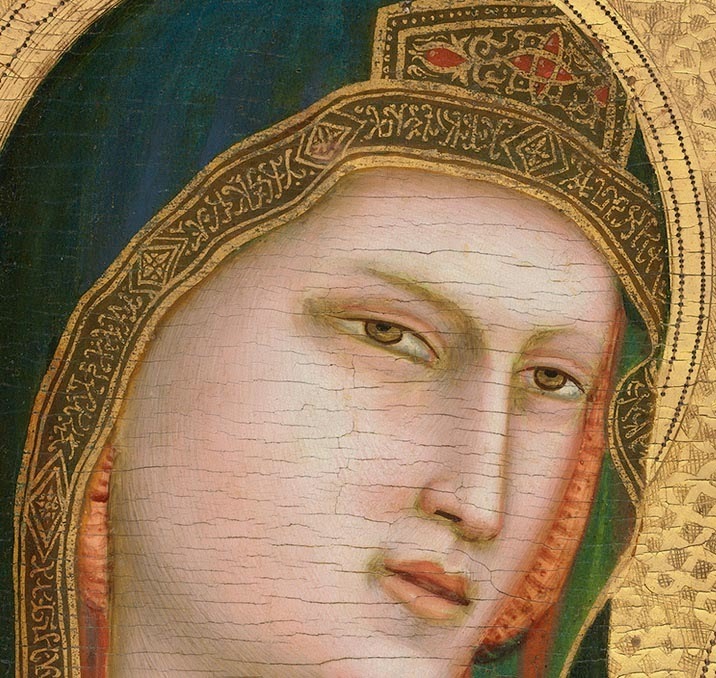 For the past 15 years or more, they have specialized in pure pigments of exclusively Northern Italian origin used in the traditional Venetian School of painting. 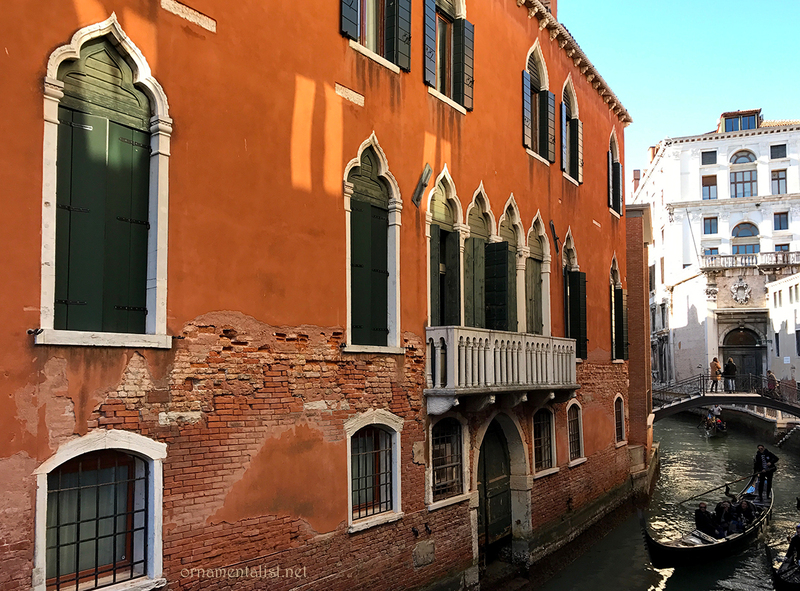 You can also see these colors used in the marvelous saturated stucco facades of Venetian architecture. What pigment is used in this brilliant red-orange stucco? 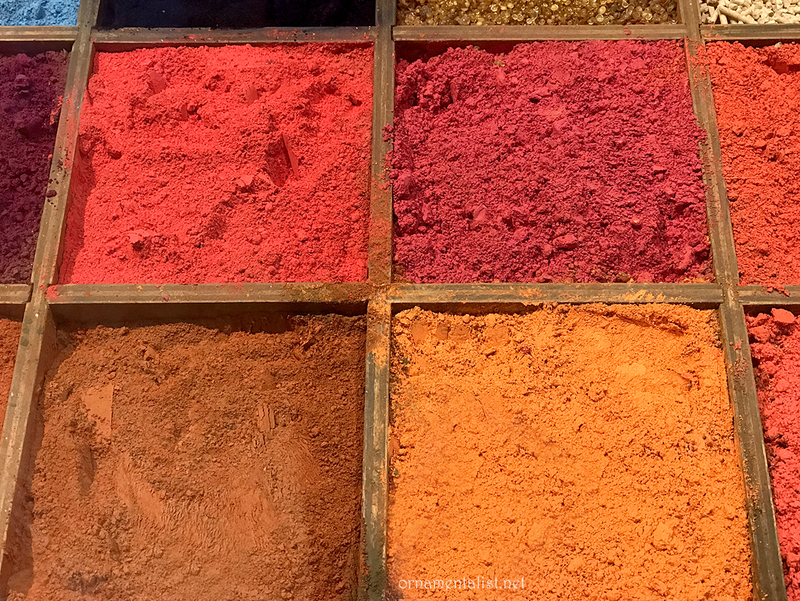 The intersecting relationship between pigments, artist materials, spices, and medicinal herbs; the apothecary, or speziale; has always thrilled me. I think of my own studio as a laboratory of sorts and keep my pigments in reagent jars. Inside Arcobaleno the pigments are dispensed from huge candy jars. We met our friend Karima, an egg-tempera painter who was also there for Carnivale, for a few minutes of pigment geekery and chatted with the shop manager. 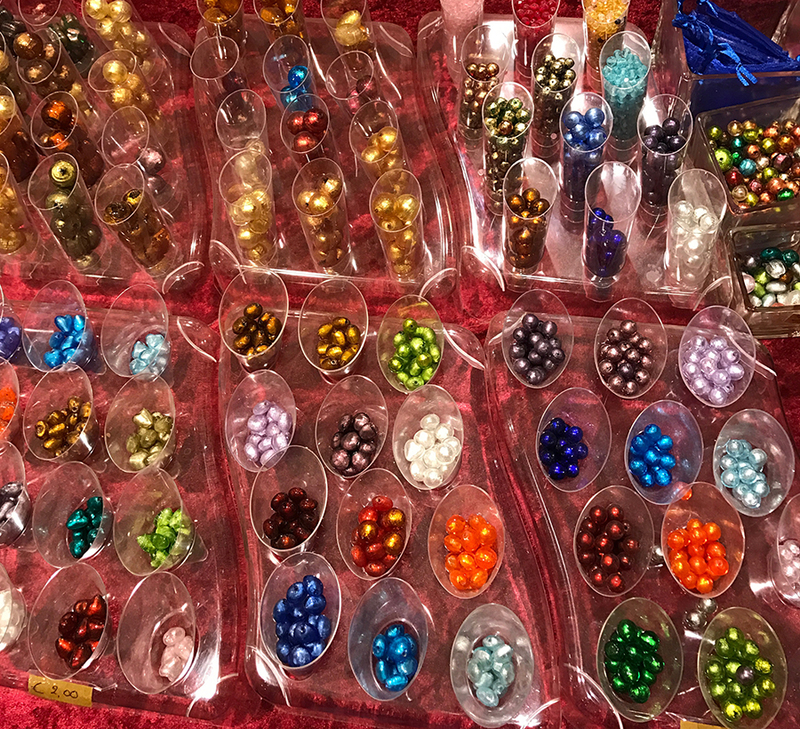 We both found the prices of the pigments surprisingly reasonable, especially as so many of them are difficult o find in the U.S. The shop also sells raw materials for making paints, glue and gelatin for gesso and gilding, gum arabic, resins, oils, and metallic powders. Venetian-made items like glass beads, leather aprons, incense and ceramic incense burners, glass lettering pens, and unique brass hardware make this a great gift shop as well as a useful resource for people who make beautiful things. Finding an address in Venice is not simple. An address is simply composed of the sestieri, or district, and a randomly assigned building number. Google Maps will often get this completely wrong. 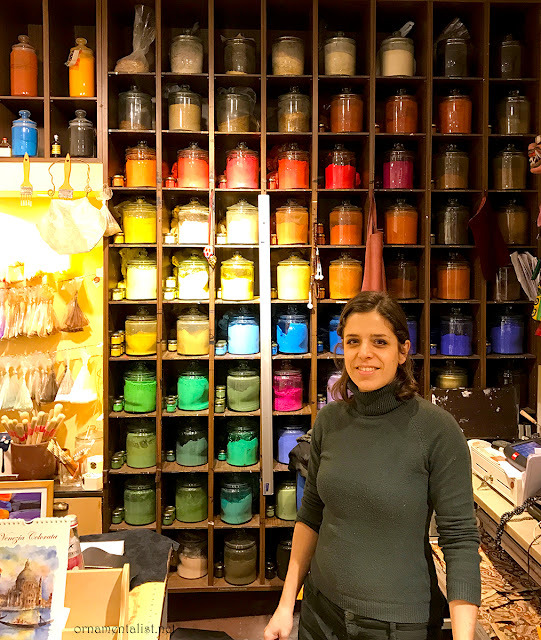 Arcobaleno Pigmenti is located at San Marco 3457 Venezia... which is actually on Calle de le Boteghe, at the northern corner of the Campo Santo Stephano. Tip: check out Venezia Autentica to learn more about local artisans, food, and culture in the city of Venice. Ooohh, how stunningly Beautiful! I can't quite imagine having to choose from so many! What a fantastic find! 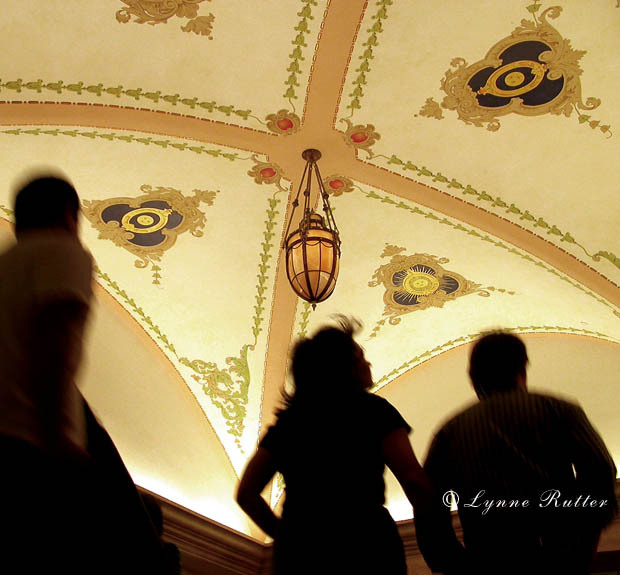 What a magical city to explore, like walking around inside a Renaissance painting. And the music and the architecture and now, the Pigment. Thank you for another lesson in the joy of Art and living!